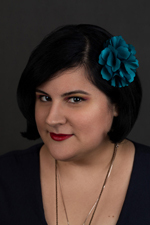 The Healing Hunter's Heart Blog Tour stops over at The Blogger Girls with Hunter Devin's profile! Hello all! Looking to find out a little more about our half-breed hero Hunter Devin? Check out his character profile over at The Blogger Girls for the next stop in the Healing Hunter's Heart Blog Tour! Chatting Enforcers & the Devil Dogs over at Prism Book Alliance for the HHH Blog Tour! Hello all! The Healing Hunter's Blog Tour stops by Prism Book Alliance for a chat on Enforcers and the Devil Dogs. Who and what exactly are Enforcers? Learn more about the Devin brothers and their roles as Enforcers. The Healing Hunter's Heart Blog Tour continues at The Novel Approach with the shifters of St. Veles! Hello all! The Healing Hunter's Blog Tour continues over at The Novel Appraoch and today we're chatting about the different canine clans in St. Veles, along with the various canine shifters. Join the fun and find out some cool facts about these sassy canine shifters! The Healing Hunter's Heart Blog Tour starts today over at Sinfully Addicted to All Male Romance! Hello all! 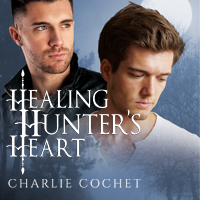 The Healing Hunter's Heart Blog Tour starts today and we're kicking things off with an interview. Join Hunter and Boone over at Sinfully Addicted to All Male Romance! Between today and the 5th of May we have some fab stops with some fun facts on the shifters of St. Veles, characters profiles of Hunter and Ari, more on the Devil Dogs, and exclusive excerpt, and more about what's coming up in the series. Check the blog tour banner for tour stops and what you'll find. Plus there's a giveaway! Don't forget there's also the exclusive giveaway for the release day event over at Joyfully Jay. Months after being forced to leave his lover and mate Ari Jannsen behind, Hunter Devin settles into his role as Enforcer for the newly formed Deagan Clan under the rule of his new Alpha and best friend Tristan ‘Trip’ Hagan. Along with Hunter’s brother Boone, their nephews, sister, and mother, Hunter finally has the family he’s always wanted, but without his little rebel Ari, his heart is incomplete. The Hagan Clan is unable to accept the Deagan Clan’s betrayal for walking away and taking the clan’s pups with them. War looms. As both clans plan their attack, a greater enemy plots against them. But Hunter is determined to get his Ari back. Bonds are put to the test and unexpected alliances are made as Hunter and his clan set out to protect their own and end the spreading heartache. Healing Hunter's Heart - Release Day Event @Joyfully Jay's! JOIN THE HEALING HUNTER"S HEART BLOG TOUR APRIL 27TH! Men & Mischief - My new author column over at Sinfully! Hello all! 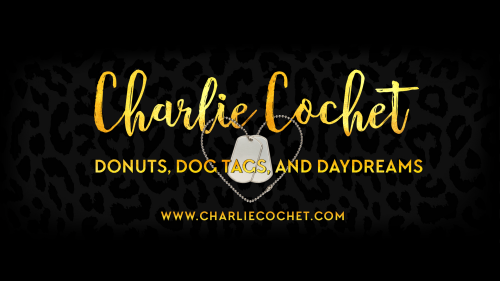 I'm super excited to announce that I'll be contributing monthly to an author column over at Sinfully... Addicted to All Male Romance. Join me the fourth Wednesday of every month for some chatting on men and mischief! From authorly things to the fellas dropping in, who knows what will happen! Plus, each week on their Wednesday Author Column posts the fabulous folks at Sinfully will gift to one lucky commenter answering the author question, a Kindle eBook from their TBR list. How awesome is that? Healing Hunter's Heart now available for pre-order from Amazon, All Romance eBooks, and Barnes & Noble! Hello all! Less than a week until the release of Healing Hunter's Heart! Woot! 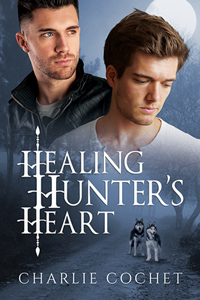 For those of you who love to 1-click or prefer one of the other romance eBook sites, Healing Hunter's Heart is now available for pre-order from Amazon (US & International), All Romance eBooks, and Barnes & Noble! Don't forget, if you haven't read book one - An Intrepid Trip to Love, it's still available for free download from my website, the M/M Romance Group Don't Read in the Closet website, or All Romance eBooks.